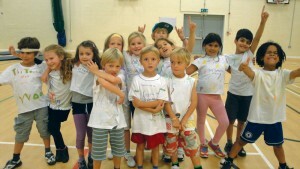 Fun, funky and energetic workshop! An opportunity to learn to dance like Diversity and Flawless and be in your own dance crew like those on “Got to Dance”! We will teach you the basics of this jazz/hip-hop/floor work style to the very latest music. Develop techniques, fitness, co-ordination and confidence as you create your own signature moves. There will be a spectacular performance at 3.45 on Thursday. Great production and presentation at the end of the four days.